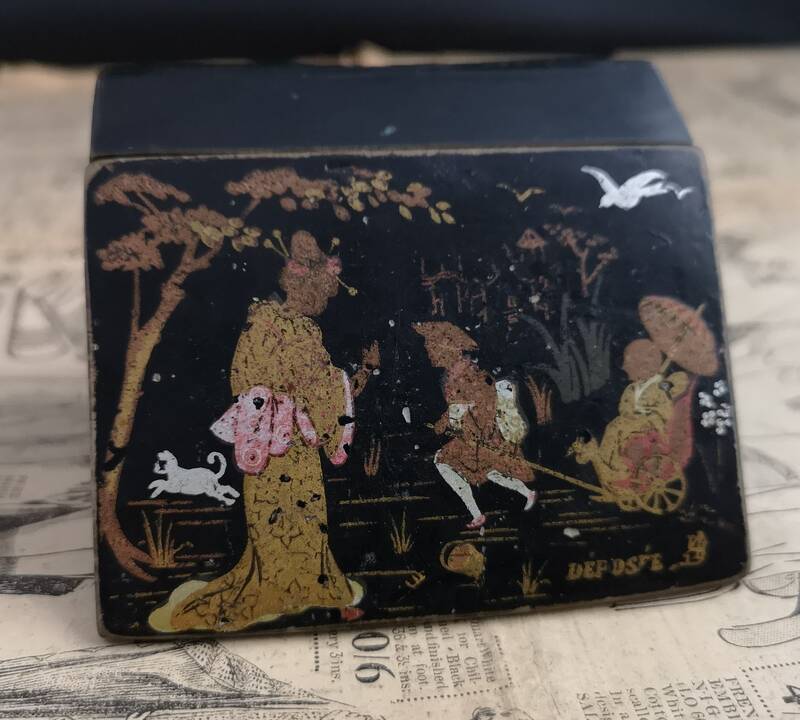 A pretty little antique chinoiserie box. 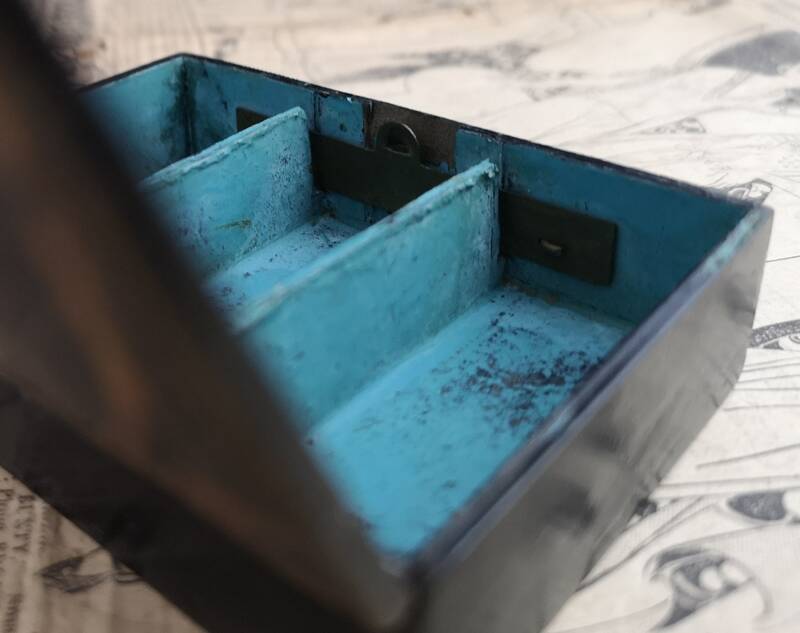 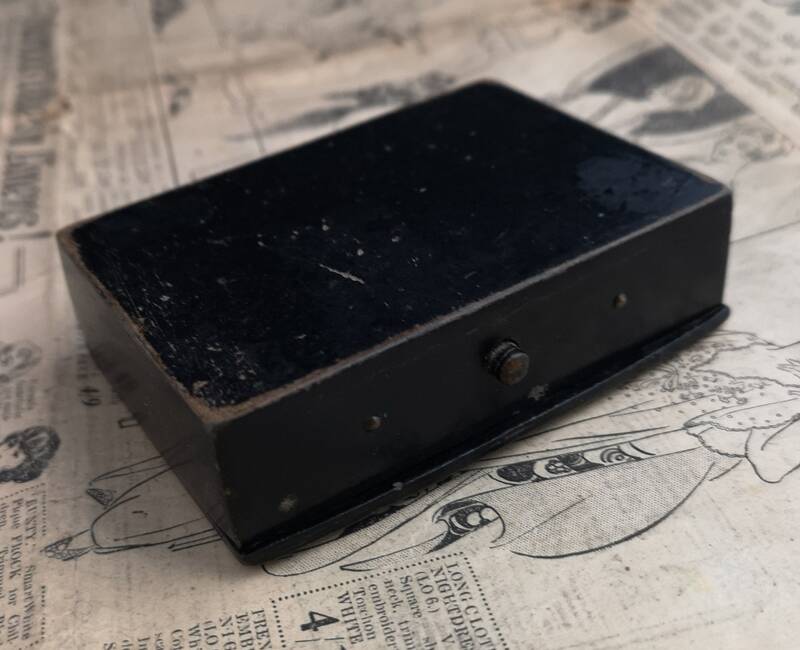 Sectioned inside with small compartments and lined in a bright blue, it has a small metal push catch. 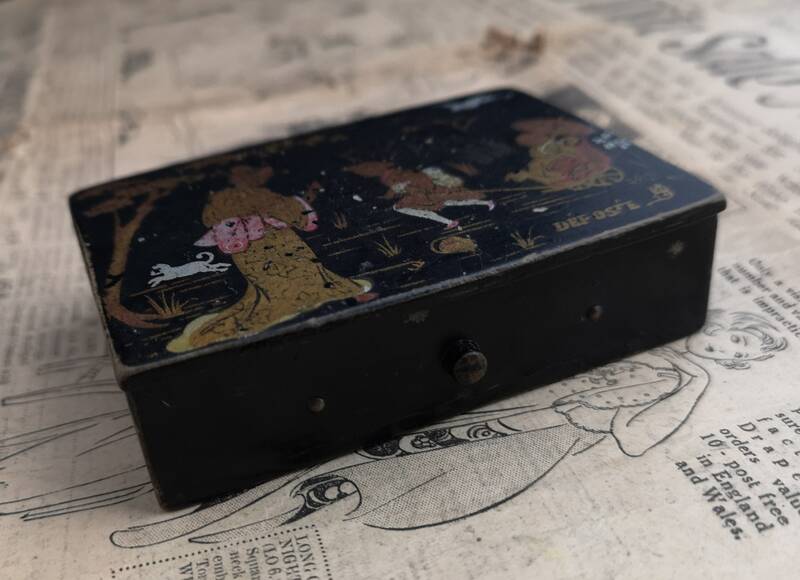 Externally it is lacquered black and has a somewhat naively painted Japanese scene on the lid in gilt, white and with pinkish highlights. 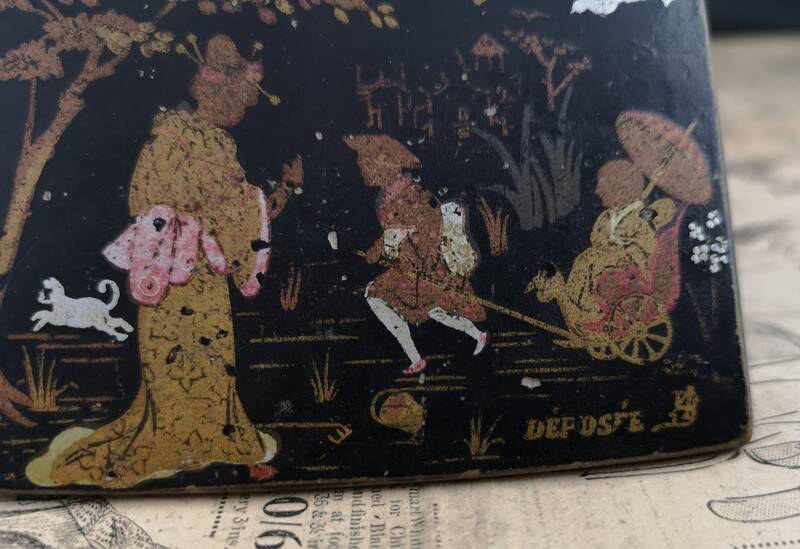 There is a lady in traditional dress, a man pushing a man in a cart and a cat running. 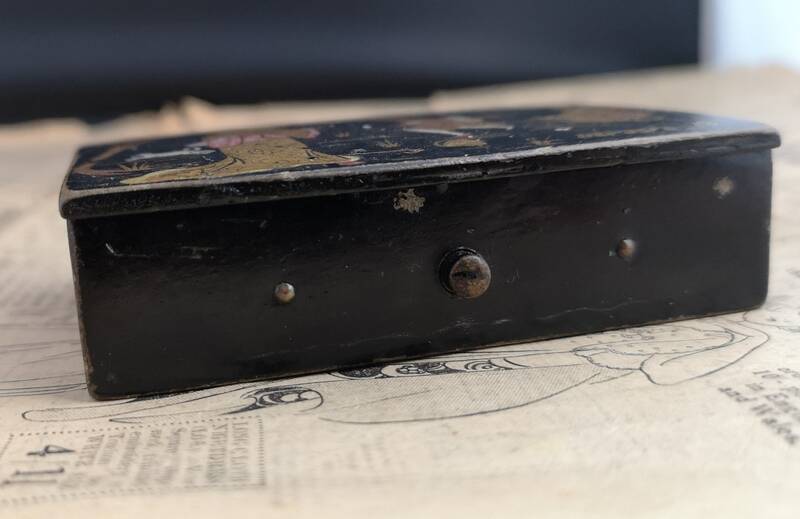 It is marked in the corner Deposee and is signed also. 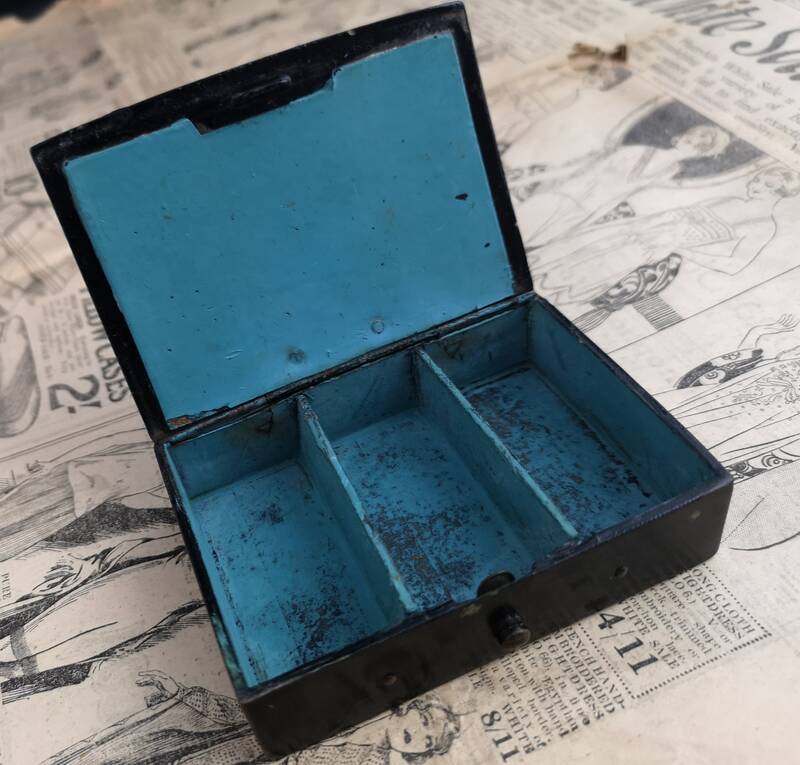 It shows some wear and ageing, some chipping to the painted scene, marks to the interior, it opens and closes well and feels structurally strong. 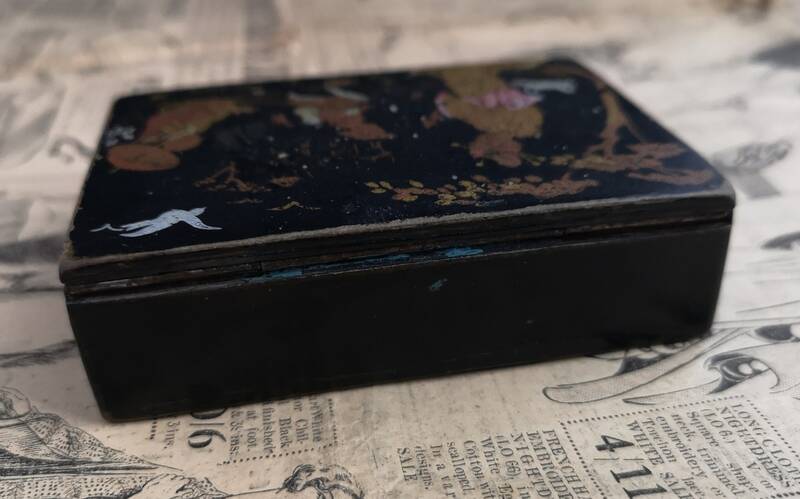 It is approx 3.5" width, 2.5" length and 1" height.